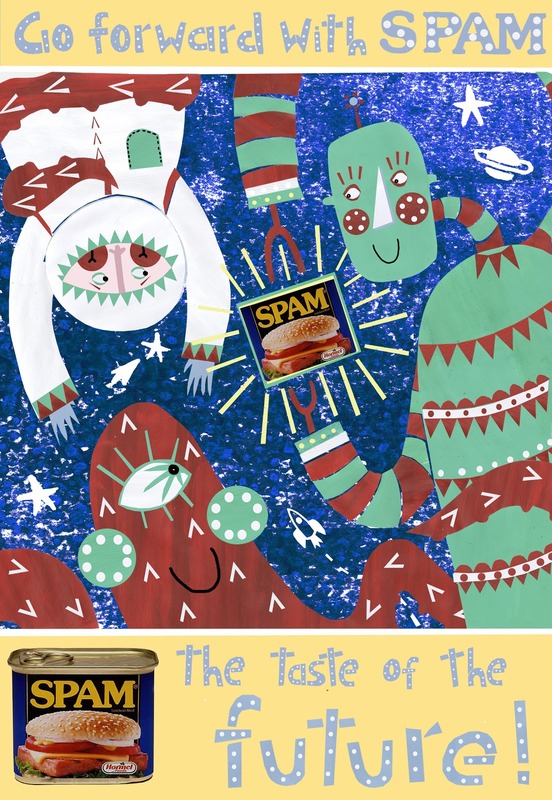 Steph Marshall Illustration: Go forward with SPAM! Finally finished my final outcome for the SPAM project after hours fiddling around on photoshop. I'm really happy with the characters and the scene in the middle of the piece, but something doesn't seem quite right with the text to me- it's a bit unclear. Maybe it needs another tone in/behind it? Let me know what you think.